NudeAudio is an up-and-coming audio brand, and it's serious about making affordably priced portable Bluetooth speakers look and sound great too. And it does so without spending all of its audio engineering and speaker design budget on marketing. 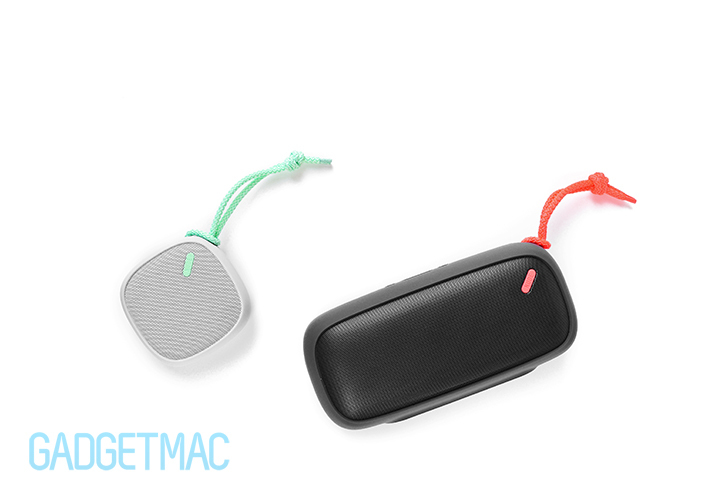 NudeAudio'sBluetooth speaker lineup consists of two very pocket-friendly speakers including the Move S and Move M, as well as a larger Move L speaker model (above), which balances indoor and outdoor portability prowess along with the suitable horse power to help it deliver that extra kick some of you are looking for. Simple and effectively easy to get into, the Move M and Move L are presented with beautifully put together packaging from NudeAudio. First impressions are lasting impressions. What's included with the Move L is different from what you'll get with the smaller and more portable Move M. Instead of the usual micro-USB charging cable that you'd expect to find, NudeAudio has opted for this fixed, single-pin wall charger. While not our preferred choice of charging methods, it does come with three additional international wall socket adapters. Other than some NudeAudio branded stickers and a user guide, nothing else is included with the speaker. So a pretty stale display of accessory pack-ins for a so-called flagship portable speaker, but you should have known that since NudeAudio deliberately cut down on extras in order to deliver an acoustically promising low priced speaker. So this is the Move L, and as of this review it's NudeAudio's most expensive and most powerful portable Bluetooth speaker in its fleet...and it only costs $100. Which for a speaker this substantial and as carefully designed is really hard to come by. It's also a first for us. Now granted it doesn't have the most spectacular hardware and high-end build quality that other flagship wireless speakers have from widely known brands like Sony, Bose or Jawbone. It's currently the only Bluetooth speaker from NudeAudio that features stereo audio using two large front-facing full-range drivers and a single passive bass radiator at the back in order to produce a bass-rich sound that's unmatched by the smaller single-driver Move M.
Instead of spending tons of money on marketing its products and stuffing them with costly extras, NudeAudio has adopted what it calls a "fair price policy" in making its speakers so that customers can get their money's worth when it comes to audio performance. And what this ultimately means for you is a well designed, high-quality speaker that performs beyond what you'd expect from an inexpensive device. 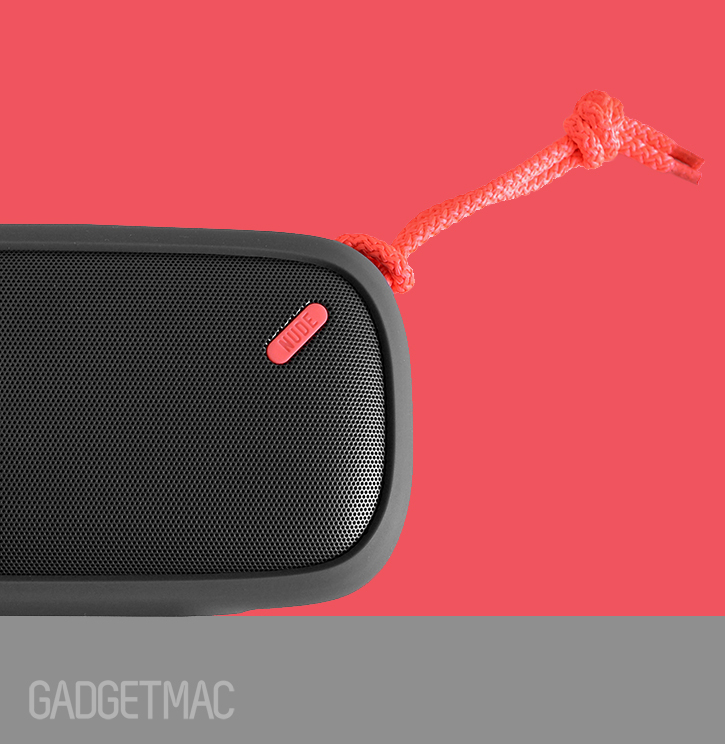 NudeAudio's portable speakers aren't some generically designed accessories either. Design wise, NudeAudio has kept things very simple, clean and dare I say...uncommon. The Move M and Move L follow this fresh and playful contemporary design language that NudeAudio has created, which is all about simplicity and aesthetically pleasing soft edges. The front consists of a large, beveled metal speaker grille with myriad of tiny perorations with An angled pill-shaped NudeAudio logo branding tastefully graces the upper front side of the speaker grille and matches the color of the knotted lanyard cord hanging off the corner, which in turn creates a two-tone contrast of well-matched colors. Like the Move M, the perforated beveled speaker grille of the Move L is augmented by an outer ring layer of silicone to give the speaker its soft and smooth rounded edge design. Not only does this make the Move M and Move L pleasing to pick up, but it's also there to help protect the speaker itself from knocks and bumps. 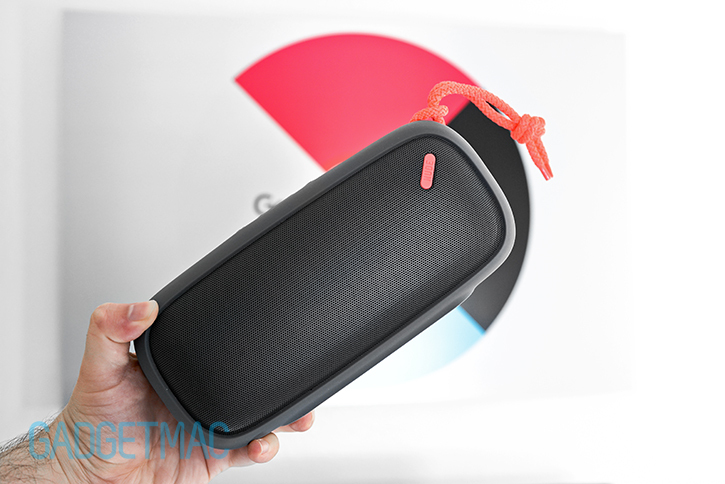 We really do like this type of material use in portable speakers these days rather than hard plastics that inevitably feel cheap and uninspired. Alas, the use of silicone in the construction of both of these speakers could have used a finer execution, as you'll soon come to know. 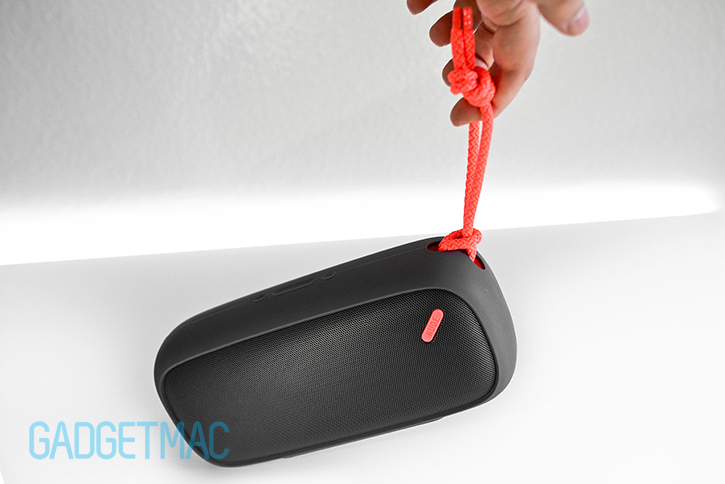 Weighing in at just over two pounds and measuring 9.1-inches wide by 4.3-inches tall and 3.1-inches thick, it's as big as Jawbone's brick-shaped Big Jambox speaker by Jawbone. Though it doesn't seem as big because of its rounded shape. 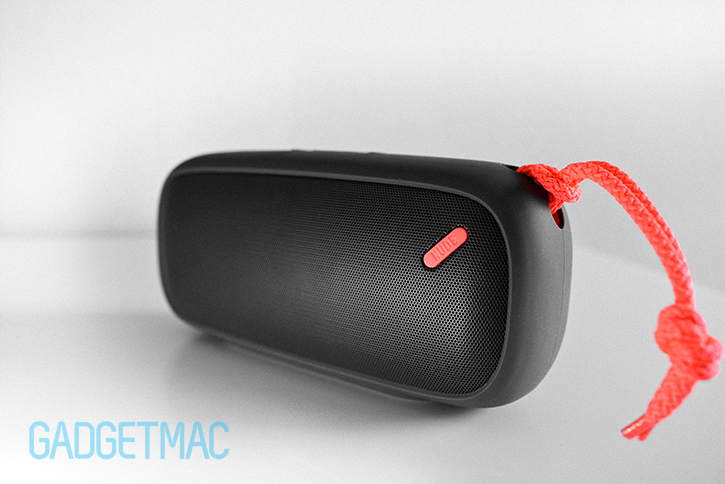 It's one of the heftiest portable speakers that we've gotten to review. Moving it from place to place is not labor intensive by any means, however, the Move L is not the kind of speaker you'd want to take with you on a daily commute. Like the Move M, the Move L features a similar limited set of on-board controls like a power button, volume adjustment and a multi-function Bluetooth pairing button that can also be used to play/pause music. There's also a 3.5mm auxiliary audio input for optional use of a wired connection to an external audio source. 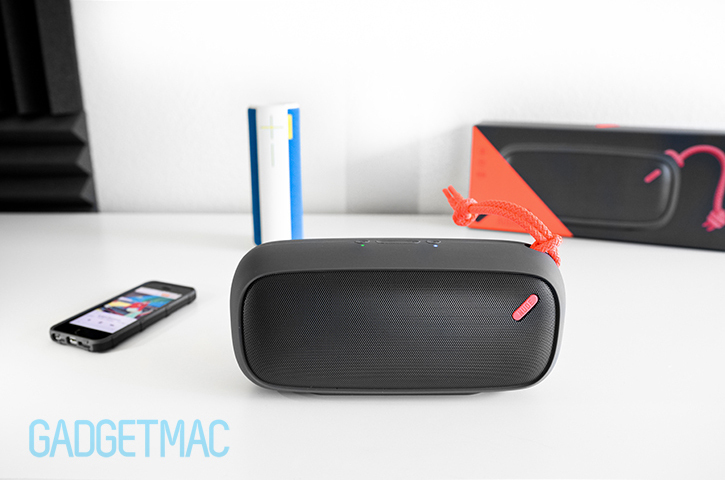 And like any good performing Bluetooth speaker, the Move M and Move L will remember to automatically connect to your device after you've paired it whenever you turn the speaker on. And it does so nearly instantly which is great. It's worth mentioning that unlike the smaller and less expensive Move M, the Move L actually lacks a microphone for speakerphone functionality as well as a micro-USB port for charging the unit using your computer or a USB wall charger. 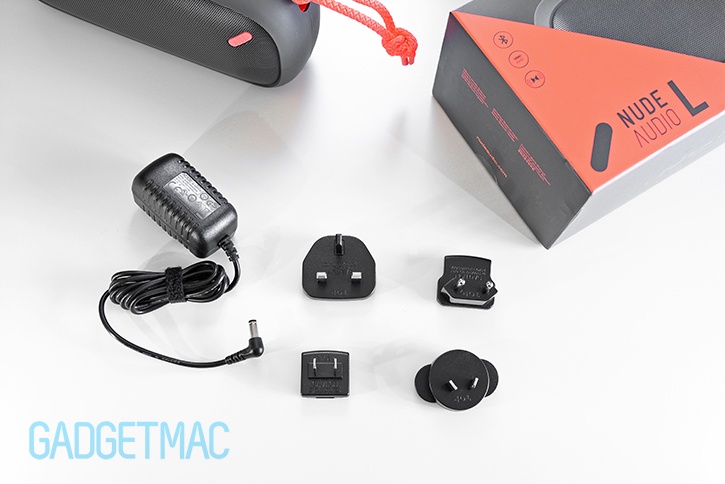 Charging the Move L requires the use of the included wall charger which limits your charging flexibility using a somewhat bulky power adapter that uses a non-USB charging connector to plug into the side of the speaker. The good thing is that NudeAudio kindly included a selection of four interchangeable international wall adapter blade plates to better offset the lack of universal compatibility of USB charging so that you'll still be able to charge your Move L anywhere around the world. As useful as that may be to some, we'd still prefer the more widely accepted method of charging our portable devices over a USB connection. Speaking of USB, we noticed that the Move L features a full-sized USB port on the side, which NudeAudio failed to mention its existence. Strangely, its only use is to provide a charging port for external devices only when the speaker is connected to a power source. 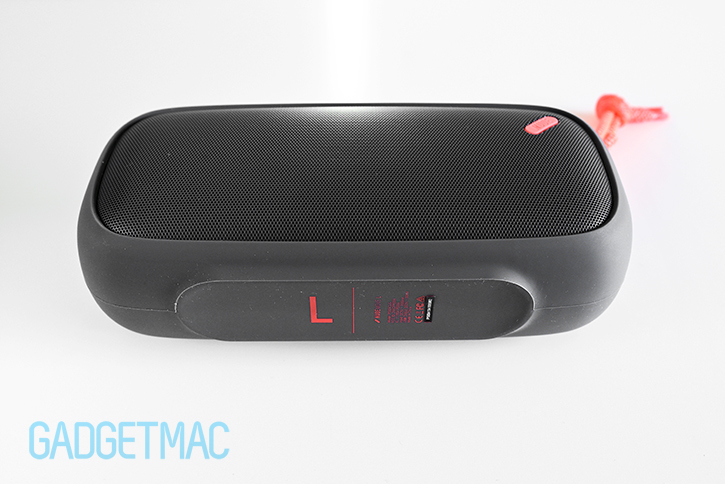 Meaning that unlike portable speakers with a large internal battery capable to being used as backup battery banks, the Move L does not offer such convenient functionality. This whole lanyard cord implementation idea is really a striking and functional design feature that sets NudeAudio apart from other speaker brands. Not that it's as useful as it is when using the Move M. It's sheer size and weight is not something you want strapped to the back of your backpack. Build quality is actually very good for a reasonably priced $100 portable speaker. And as expected, it's noticeably sturdier than the Move M; supposedly due to the use of more metal on either side. But our first impressions of it were not met by uncontrollable excitement. Don't expect to melt the moment you first set your hands on the NudeAudio Move M or Move L speaker. And although we don't quite understand the meaning behind nor were we blown away by the use of unnecessary removable silicone material composition, it should be mentioned that for the price, these are indeed high quality made portable speakers. Of course, we wouldn't say no to a little extra safety thanks to that very smooth use of silicone sleeve encasing the plastic and metal speaker grille construction. Even though the Move M and Move L have a protective silicone layer, because of how the metal grille bulges out slightly, the silicone sleeve does nothing to protect it from coming in contact with even and uneven surfaces. We already noticed a few small dings on the surface. But there's a small problems. Well, is isn't really a problem at the moment, however, we really don't think that the silicone sleeve should have any ability to flex out of its rightful place. It will only become an issue down the road as silicone tends to expand. It's not much of an issue when it's encasing the smaller Move M speakers, but unfortunately it's a much bigger issue when you look at how the Move L is constructed using the same silicone sleeve method. The Move L is obviously much heavier and the silicone around it covers more surface area. And because of this the silicone sleeve is easily lifted off the plastic body of the speaker should you begin to lift it up near the edges of the sleeve. And again, why see no reason why this piece of silicone should be so easily removable. It should have been glued into place or held tightly in place all around the perimeter of the speaker from front to back. While we haven't experienced any troublesome issues with the Move L's build quality, suffice it to say that with heavy use and a long hot summer of partying, it won't have the same skin-tight body it once had when you first took it out of its packaging. If only NudeAudio offered replacement sleeves or optional colors to purchase individually then we would not have made such a big deal out of this. The only difference in how the Move L is built differently compared to its smaller brother lies around the back side where you'll find that it has an identical metal speaker grille, albeit with a round dimple in the middle, which is where the back-firing passive subwoofer driver is located. 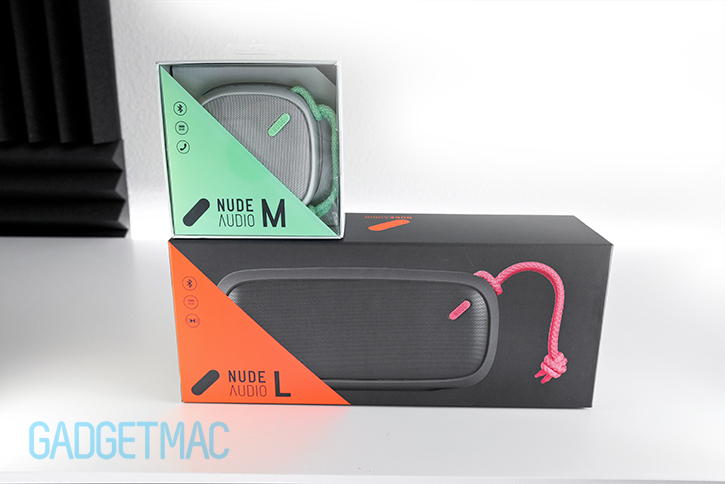 The bottom is made out of the seamless silicone sleeve extension which forms a grippy base for the Move L. Similar NudeAudio and model branding can also be found stamped in a matching bright neon color. The Move L's dual stereo drivers and back-firing passive subwoofer deliver a powerfully rich sound compared to the Move M. And that's to be expected given the size and weight of the Move L. But what's underwhelming is the fact that the Move L doesn't sound as big as it looks. And it should regardless of price. It doesn't outperform similarly sized speaker offerings such as the Jawbone Big Jambox, Sony SRSX5 and even smaller ones like the Bose SoundLink Mini. That being said, there's no denying that it's a great sounding speaker for the price. 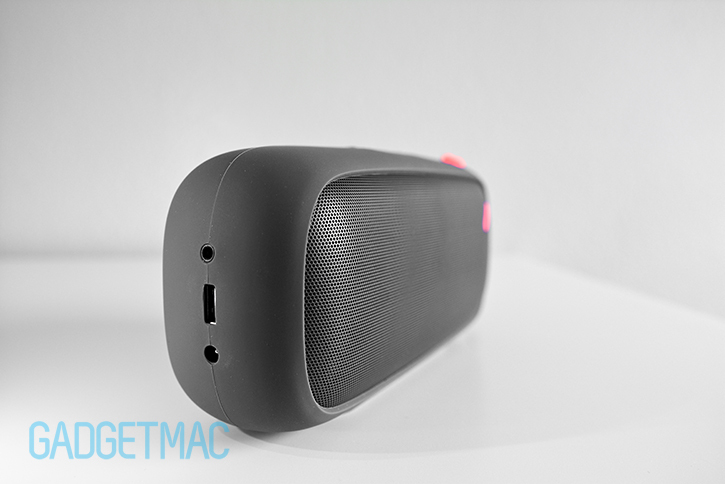 The Move L sounds warm, outputs an acceptable amount of bass for the price, and it easily outshines the much more expensive and overpriced Mini Jambox as well as the Ultimate Ears UE Mini Boom thanks to deeper lows. It's more than capable of playing music at high volume, albeit with minimal distortion, while easily filling a large living space with warm sounding audio. Alas, the Move L falls short in putting its size and heft to good use. 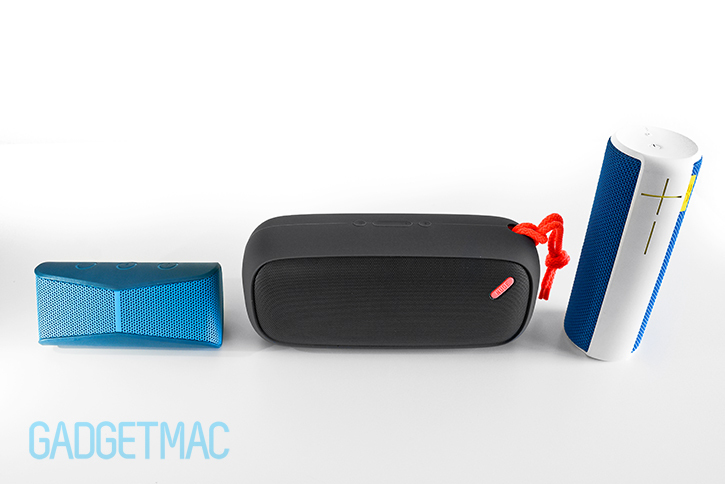 So you're probably wondering how the Move L stacks against the smaller and more compact UE Boom from Ultimate Ears, right? 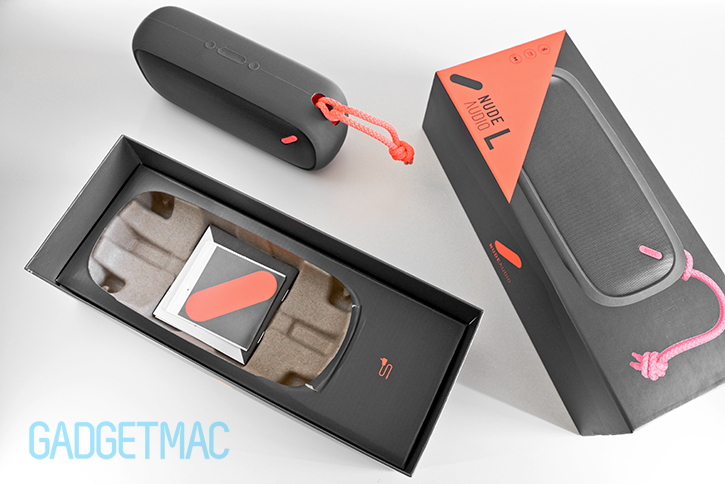 Well, the straightforward answer is that the Move L does not sound as good as the UE Boom. And we thought as much before comparing the two against each other. 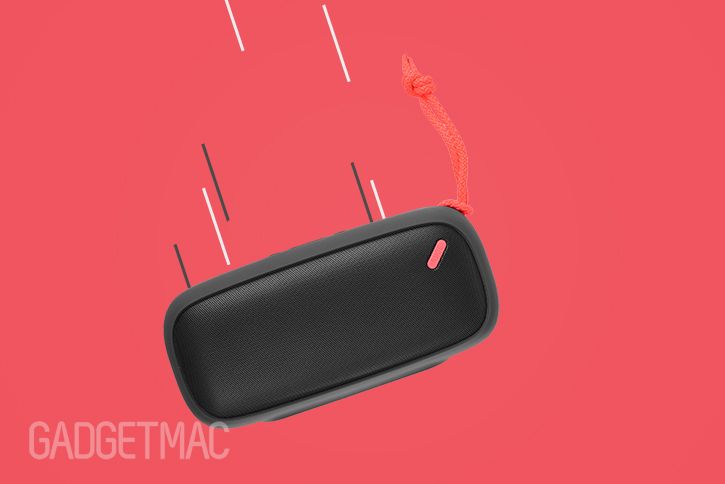 The UE Boom costs twice as much, and even though it's more compact, it still boasts far greater battery life, unbelievable clarity and definition in comparison. That's impressive considering how large and heavy the Move L is. But other than the difference in size, we're not disappointed given the fact that you're not paying as much for very decent quality of audio performance. 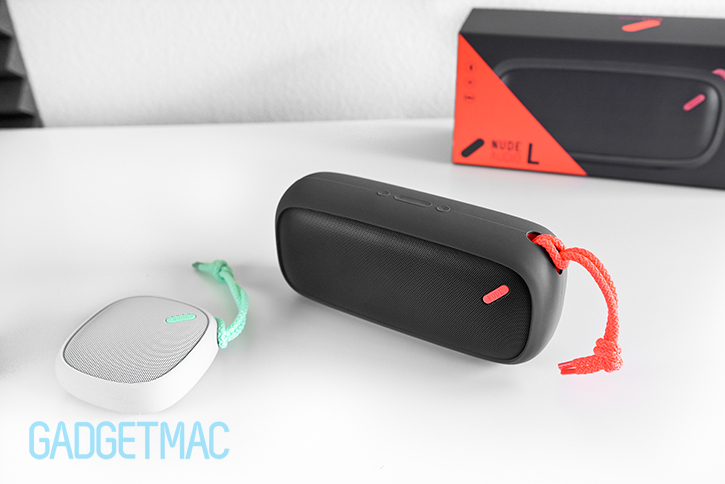 The Move L does moderately overpower the dual radiators of the UE Boom with its single, albeit larger subwoofer. And we really think that that's what will impress users the most when listening to the Move L perform. And compared to equally priced offerings like the JBL Flip 2 and UE Mini Boom, the Move L throws a more convincing audio experience for the price. That said, we believe that NudeAudio still has a lot to learn as far as speaker driver architecture and form factor optimization is concerned. What really bothers me is the size of the Move L. Because if a speaker as large and as bulky as this is bested by something as small as the less expensive $60 Logitech X300, then I find it hard to justify buying the Move L over the much more portable X300. Even though you'll get a little more power, battery life and a tad deeper sounding bass response out the Move L, we still think the X300 will give you a more versatile wireless speaker experience with clearer highs for less money. It's just as well built and as lightly rugged as the Move L, yet it's lighter, smaller and rivals its audio quality using two full-range drivers and two passive bass radiators. Having said that, we would recommend the Move L to people looking for a wireless Bluetooth speaker to primarily use in and around the house or office. It's a little more powerful than the X300, has better battery life and thicker sounding audio that will please most if not all casual listeners. 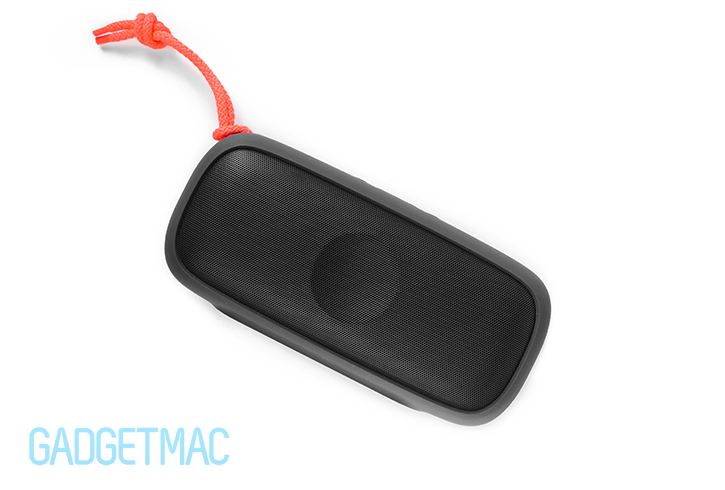 And should you want to grab it and go, the Move L will definitely shine wherever you set it to play music. The silicone clad body and handy lanyard loop are a welcome added benefit. If you came here looking for a reason as to why buying the NudeAudio Move L might not be such a good idea, we couldn't really give you a definitive answer. But we will say that the 8-hour battery life and the quite heavy form factor would be the two caveats you should be mindful of. 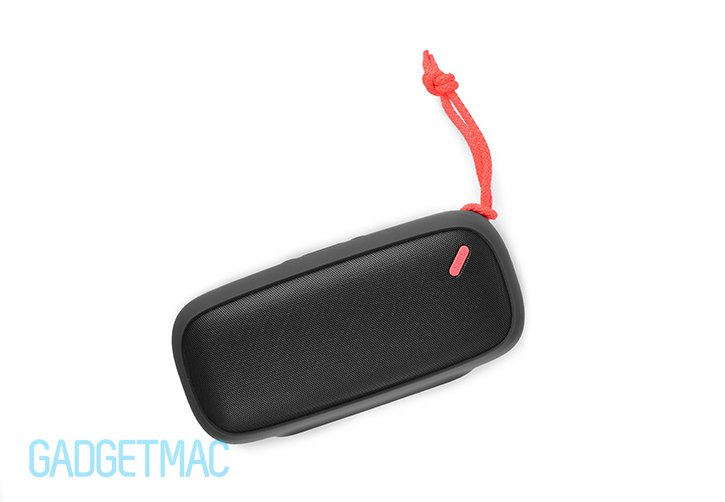 Otherwise you're getting a great performing Bluetooth speaker for not a whole lot of money. You're just going to have to settle for a large, albeit well rounded chunky piece of speaker. And that is really the biggest tradeoff that comes with the Move L. It's capable of delivering an impactful dose of audio quality compared to most sub $100 speakers. If you care more about bass and less about the smaller details, then we think you'll absolutely love what the Move L kindly has to offer at a very sensible price. That said, we'd also recommend the Logitech X300 if the smaller form factor appeals more to your lifestyle. But while we think the X300 is an extraordinarily capable speaker at only $60, battery life won't nearly be as good as the Move L. If it was our money to spend, we'd pick Logitech's X300 over NudeAudio's Move L for three reasons: it's smaller, seems to be made using a more durable construction compared to the potentially stretchable non-bonded silicone on the Move L, and we think it sounds just as good considering the huge difference in size - save for the lighter low-end.